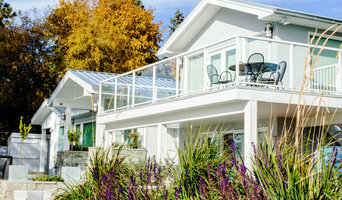 Since 1995, Candel Custom Homes has been designing and building custom homes throughout the Okanagan Valley. 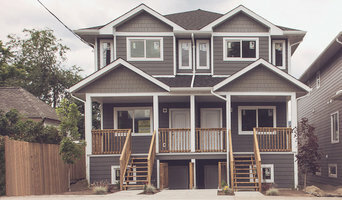 We take pride in our outstanding craftsmanship and our commitment to building quality homes for Okanagan families. Candel Custom Homes strives to exceed industry construction standards and we will work to deliver your home on time and on budget. The care and attention to detail in every Candel Home is completely genuine and it is these touches that make a house a home. We are an independent builder of custom homes and over the years we have earned an unparalleled reputation for providing our homeowners with exceptional quality and value. The entire team at Candel Custom Homes is passionate about what they do and the homes that they build, working to exceed industry standards and provide exceptional homes on time and within budget. When you choose to work with Candel Custom Homes, you are choosing to work with a smaller, hands-on team. You are making a decision to work with people that you can truly know, rather than a corporate entity. Our owner, Randy Therrien, is the project manager for every home that we build, so you don’t have to deal with a middle man. Candel Custom Homes knows the value of your hard-earned dollar, and the importance of having a house that you can truly call your home. Custom Home Designer and Builder, Multifamily Residential Designer and Builder, Mixed-use Development / Light Commercial Builder Building throughout Southern British Columbia - Offices in Kelowna and Grand Forks Since 1975 Harmony Homes has been creating custom homes to meet the needs of folks throughout British Columbia. Our in-house draftsmen and designers, team of project coordinators, site managers and administrative staff work in harmony providing a complete one-stop home building experience. Do you prefer to be involved in construction? Harmony's unique building programs allow flexibility. Turn-key, lock-up, anything in between, Harmony is here for you. It all starts with the design! From the initial concept design to the final construction drawings, our design team and project coordinators incorporate "design equity" and ensure nothing is overlooked - providing you with peace of mind knowing you've made a sound investment with lasting resale value. 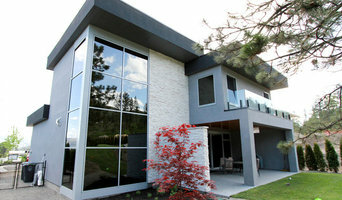 With over 45 National, Provincial and Regional awards for excellence in new home construction, Harmony has acquired a reputation as one of BC's most recognized custom home builders. And with the proven experience of a 3rd generation builder and 150+ years of combined experience - Harmony's team is always up-to-date with the latest treads and superior building practices, continually educating its staff and new home buyers. Exceptional customer service and complete satisfaction are paramount factors in what drives Harmony's people... the finished product speaks for itself. Testimonials from our clients tell the story of a group of passionate folks dedicated to the craft of creating timeless, quality built homes while building lifelong friendships. All stages of planning and construction should be exciting and enjoyable. Whether you've built before or if this is your first time; allow us to explain what makes Harmony stand alone and how we bring your new home dreams to life! Jeremy Newell is a Residential Designer of luxury homes and an excellent alternative to hiring an Architect. He strives to create unique yet timeless residences that reflect the personality and values of each individual client. Whether your taste is traditional, west coast, mid-century or ultra modern, his ability to deliver an authentic design vision speaks for itself. 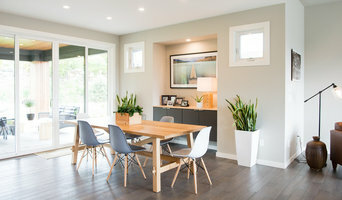 Brett Sichello Design is a Residential Home Design studio specializing in High Performance Home, Passive House and Net-Zero Design and Consulting. Since Jenish House Design was founded 48 years ago, our ability to attract and retain talented and innovative designers has created and award-winning Canadian firm with international recognition. Today, under the leadership of president Trevor Beatty, who began as a Jenish house designer more than 20 years ago, the company has become the premier house design company in Western Canada. Aesthetic Designs Construction, Ltd. prides itself on having one of the highest customer satisfaction results in the Okanagan. Our company is built on a solid foundation of integrity, proficiency and responsibility, all of which have a common thread of consistent communication. Quality building requires strong teamwork and communication. We combine experience, craftsmanship and knowledge to guide each project from concept through to completion. Our goal is to help clients achieve their personal design ideas in their homes and commercial spaces... "Inspire us with your vision".